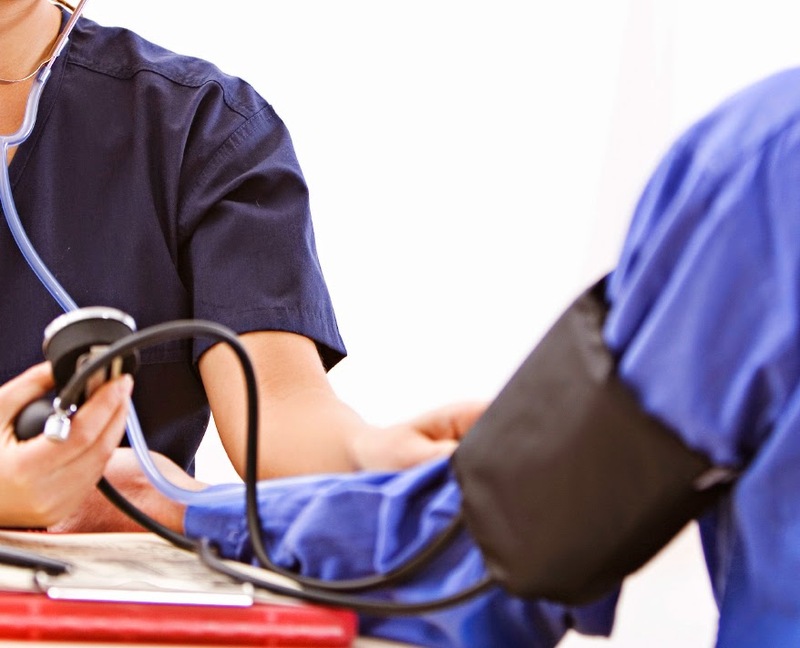 Nursing care plans for Hypertension; hypertension, high blood pressure, is the most common of all health problems in adults and is the leading risk factor for cardiovascular disorders. Hypertension is a systolic blood pressure greater than 140 mm Hg and a diastolic pressure greater than 90 mm Hg over a sustained period, based on the average of two or more blood pressure measurements taken in two or more. There are two kinds of hypertension; they are primary hypertension, meaning that the reason for the elevation in blood pressure cannot be identified. Also known as essential hypertension. These terms mean simply that the hypertension is of unknown origin. In some patients with primary hypertension, there is a strong hereditary tendency. And, Secondary hypertension or malignant hypertension is the term used to signify high blood pressure from an identified cause. The elevation of blood pressure results from some other disorder Such as kidney disease, renal artery stenosis. Although the precise cause for most cases of hypertension cannot be identified, it is understood that hypertension is a multifactorial condition. Because hypertension is a sign, it is most likely to have many causes, just like fever has many causes. For hypertension to occur there must be a change in one or more factors affecting peripheral resistance or cardiac output. In addition, there must also be a problem with the control systems that monitor or regulate pressure. RENAL: Acute glomerulonephritis, Chronic renal disease, Polycystic disease, Renal artery stenosis, Renal vasculitis,Renin-producing tumors. Hypertension is a major cause of stroke, cardiac disease, and renal failure. Complications occur late in the disease and can attack any organ system. Hypertensive encephalopathy can cause blindness. Renovascular hypertension can lead to renal failure. Although essential hypertension has no cure, drug therapy and diet and lifestyle modifications can control it. Current guidelines for treating hypertension recommend, as a first step, lifestyle modifications that are aimed at increasing physical activity and weight loss in most patients. Unfortunately, many patients are unable to lose weight, and pharmacological treatment with antihypertensive drugs must be initiated. Natriuretic or diuretic drugs that decrease tubular reabsorption of salt and water. Other disease processes, such as gout, migraines, asthma, heart failure, and benign prostatic hyperplasia, which may be helped or worsened by particular hypertension drugs. Auscultate heart rate and palpate peripheral pulses; determine respirations. If skilled in doing so, perform funduscopic examination of the eyes for the purpose of noting vascular changes. Look for edema, spasm, and hemorrhage of the eye vessels. Refer to ophthalmologist for definitive diagnosis. Examine the heart for a shift of the point of maximal impulse to the left, which occurs in heart enlargement. Auscultate for bruits over peripheral arteries to determine the presence of atherosclerosis, which may be manifested as obstructed blood flow. Determine mentation status by asking patient about memory, ability to concentrate, and ability to perform simple mathematical calculations. Blood Pressure Determination, Auscultate and record precisely the systolic and diastolic. Express that he has more energy. Maintain adequate cardiac output and hemodynamic stability. Comply with his therapy regimen. Explain the meaning of high blood pressure, risk factors, and Explain the influences of high blood pressure on the cardiovascular, cerebral, and renal systems. Stresses that Hypertension can never be total cure, only control, of essential hypertension; emphasize the consequences of uncontrolled hypertension. Stress the fact that there may be no correlation between high blood pressure and symptoms; the patient cannot tell by the way he feels whether blood pressure is normal or elevated. Have the patient recognize that hypertension is chronic and requires persistent therapy and periodic evaluation. Present a coordinated and complementary plan of guidance. Inform the patient of the meaning of the various diagnostic and therapeutic activities to minimize anxiety and to obtain cooperation. Solicit the assistance of the patient’s spouse, family, and friends provide information regarding the total treatment plan. Be aware of the dietary plan developed for this particular patient. Explain the pharmacologic control of hypertension. Explain that the drugs used for effective control of elevated blood pressure will likely produce adverse effects. Warn the patient of the possibility that orthostatic hypotension may occur initially with some drug therapy: Instruct the patient to get up slowly to offset the feeling of dizziness, Encourage the patient to sit or lie down immediately if he feels faint Alert the patient to expect initial effects, such as anorexia, lightheadedness, and fatigue, with many medications. Inform the patient that the goal of treatment is to control blood pressure, reduce the possibility of complications, and use the minimum number of drugs with the lowest dosage necessary to accomplish this. Educate the patient to be aware of serious adverse effects and report them immediately so that adjustments can be made in individual pharmacotherapy. Note that dosages are individualized; therefore, they may need to be adjusted because it is often impossible to predict reactions. Warn the patient on vasodilating drugs to use caution in certain circumstances that produce vasodilation a hot bath, hot weather, febrile illness, consumption of alcohol which may exacerbate blood pressure reduction. Warn patients that blood pressure is often decreased when circulating blood volume is reduced as in dehydration, diarrhea, and hemorrhage so blood pressure should be monitored closely and treatment adjusted.